The Smithsonian Butte National Byway heads south from Rockville, which is near the entrance to Zion National Park. This is a fairly rough dirt road and a high clearance vehicle would be recommended. 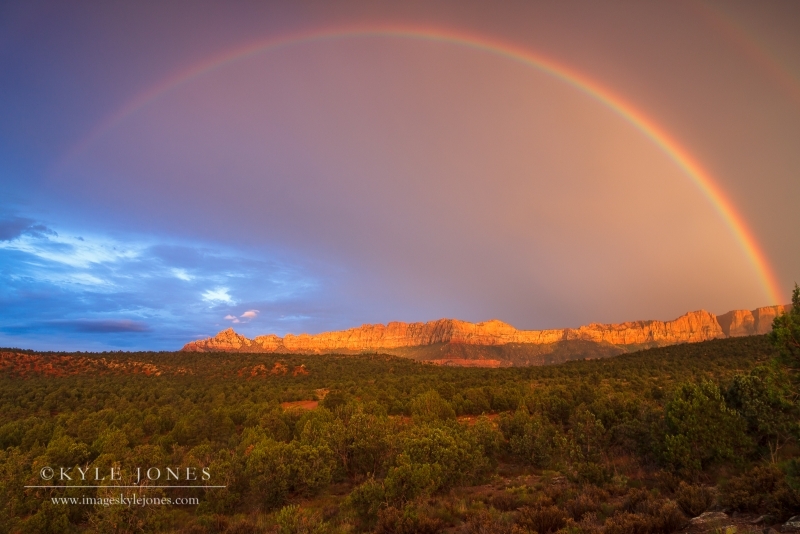 The setting sun found a gap under the storm clouds to light up Eagle Crags framed under a double rainbow. This was taken from the Smithsonian Butte National Byway south of Zion national Park, a location I learned about from OP magazine.